After a brief delay that we would blame on Hurricane Tropical Storm Irene except that if we did we would be lying, DaddyTips proudly presents Fart Cop 7, the seventh installment of the epic comic strip saga known as Fart Cop. This episode is not as meta as Fart Cop 6. We will admit that the strip is getting more self-referential as the saga continues. 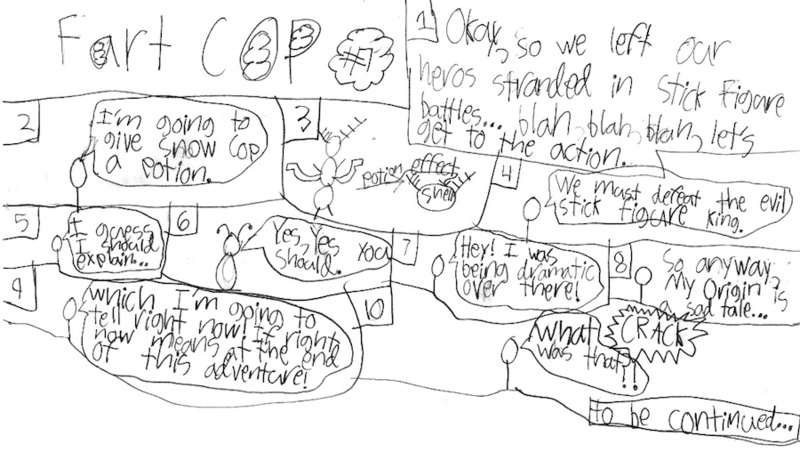 Remember that Fart Cop is written and drawn by my kids, so as they grow, so does the comic. Also: we are working on a Fart Cop motion comic! More news on this epic development as it develops. Now, without further ado (or doo-doo — heh heh, hey Beavis), here is Fart Cop 7. Click the comic to see it in all its full-size Fart Cop glory. Read the full Fart Cop saga, only on DaddyTips.com.